Pakistan will consider selecting players who break away from the ICL on a case-by-case basis, following the decision by the BCCI to grant an "amnesty" to ICL players who cut ties with the league by May-end. Though the BCCI has put in place a 'cooling off' period of a year - whereby an ex-ICL player will only be eligible to represent India after a year away from the ICL - the PCB has left the door open for players to return sooner. The stance adopted by the PCB is understandable, given how badly it was affected by the ban on ICL players. 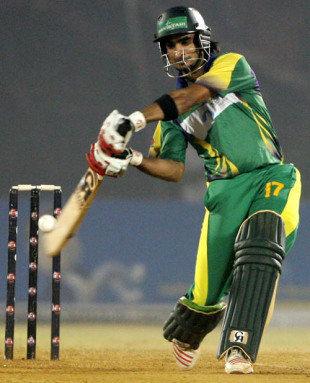 Nineteen players from Pakistan signed up with the league, nearly half of whom, can conceivably represent Pakistan still. The defection took away nearly the entire bench strength of the national side. Key among them are the likes of Mohammad Yousuf and Abdul Razzaq, and even players such as Imran Nazir, who could well be part of a Pakistan line-up in one of the three formats of the game. "It is pertinent to note that at the last executive board meeting of ICC, it was emphasized that the action against players who have participated in ICL is the prerogative of the home board," the PCB said in a statement. "The PCB's position on players who have participated in ICL is that such players must resign from ICL if they are to be considered for selection by PCB. While permitting such players to play cricket, PCB will decide on case-to-case basis the penalties to be imposed and the time period for which they will remain banned. This arrangement will continue till the end of May 2009." Pakistan has been more ambiguous about the ban on ICL players than most boards. Last year, PCB's director general, Javed Miandad, said there was great "public pressure" on the board to pick ICL players and moves were constantly underfoot privately to try and bring some of them back into the fold somehow. Earlier this year, a local Sind court ruled that ICL players can play domestic cricket. Recently, Pakistan's selectors also picked three ICL players in a preliminary 30-man squad for the Twenty20 World Cup. They were withdrawn a day later, however, senior board officials calling it a "faux pas." But the road back for players such as Yousuf or Razzaq - players the PCB "could do with in the national side" - will still not be an easy one. "ICL contracts, in the board's legal opinion, are pretty one-sided," a senior official told Cricinfo. "It will not be easy for a player to rescind from them. We have sent a communication to the ICL asking for some clarity on the contracts but have not received a reply yet. When a player does come to us and has documents stating that he has left the league, we will consider his case." Further muddying up the issue is the recent flirtation of a number of Pakistan's ICL players with the American Premier League (APL), another - thus far - unauthorized, private Twenty20 league. The APL, brainchild of local entrepreneur Jay Mir, is scheduled to be held in October on a converted baseball field in Staten Island, New York City. But the ICC has said it will hold the same status as the ICL; effectively that players involved cannot play internationally. "A number of our ICL players are interested in the APL," the official said. "That will complicate matters even more. Jay Mir has been in touch with us, the ICC and the BCCI and he has been told that his league needs to be authorized first. If players join that, then it will become more difficult." The PCB's policy of looking at individual players is likely to be replicated by Cricket South Africa. Cricinfo understands CSA will assess players on a case-by-case basis. Of South Africa's ICL players, only Justin Kemp and Johan van der Wath could entertain notions of an international recall, though both are still considered long-shots.